William Emanuel D Eng. & D.D. 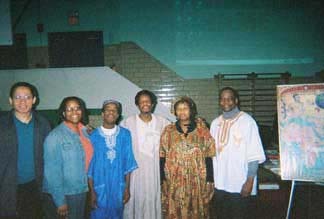 The People Of Color Training & Research Institute (POCTRI), is committed to educating all people & to restoring hope in the African-American community. Dr. William Emanuel is the Director of the People Of Color Training and Research Institute (POCTRI) for the education of all people. He received his Doctorate of Engineering (D Eng.) from Morgan State University in 2015 in Sustainability. His doctorate dissertation was titled " A Decision Support System Assessment Model for Turf Playing Condition Infrastructure as an Early Indicator of Compliance with Performance Quality Standards." He was born in Brooklyn, New York. 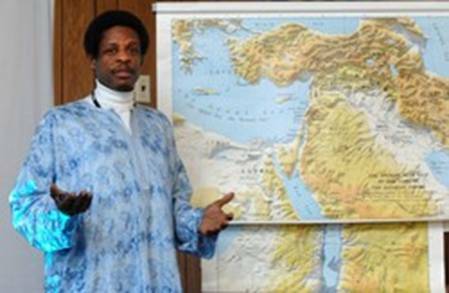 He started his spiritual walk in 1976 and began teaching Friday night Bible Studies at Howard University (HU) in 1978 while working toward his bachelor's degree. Dr. Emanuel entered the Master's of Engineering Program at Howard University and worked as an intern at Goddard Space Flight Center/NASA. 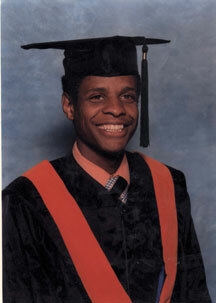 He received his Master of Science (MS) degree in 1986. His masters thesis was titled " Transient Stability, using Difference Equations." 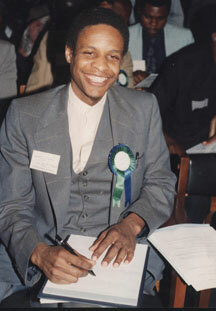 He earned his Bachelor of Science (BS) degree in Electrical Engineering at Howard University in 1980. After Dr. Emanuel graduated with his MS, he began a professional career with the Pennsylvania, New Jersey & Maryland (PJM) Interconnection Office, which controls power and Black Outs for Pennsylvania, New Jersey, Delaware, Washington, D.C. & Maryland. He was the second African-American electrical engineer to be hired by PJM. 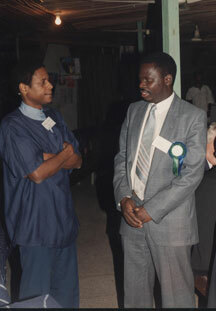 After six years with PJM he was selected by the National Science Foundation (NSF) and Howard University to represent the United States in Lagos, Nigeria at a symposium titled "The First United States and African-Sub-Sahara Conference on Power Systems: Voltage Collapse & Voltage Regulation." While attending the symposium Emanuel presented a paper titled "PJM Voltage / Reactive Analysis Methodology" which was well received. 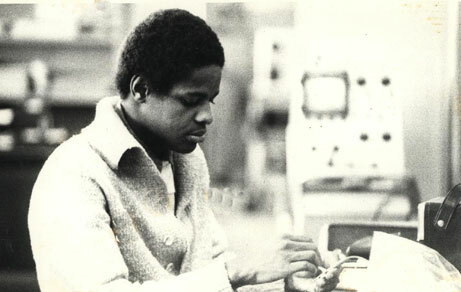 Emanuel was a member of Morgan State University Electrical and Computer Engineering (ECE) Industrial Advisory Board. Two years later, he received an Honorary Doctor of Divinity (D.D.) degree from the Gospel Ministry Outreach (GMOR) Theological Institute in Houston, Texas. He was honored with the DD for his innovative view for the role of non-whites in the Bible. He authored the book “People of Color in the Bible Volume I: Preliminaries: Establishing a Foundation.” The book was accepted as his Dissertation for the GMOR Doctorial Program. A year later, he co-authored a Series of three Beginner and Children Books focused on The 9 Pathways (Principles or Laws) To Health & People of Color in the Bible. 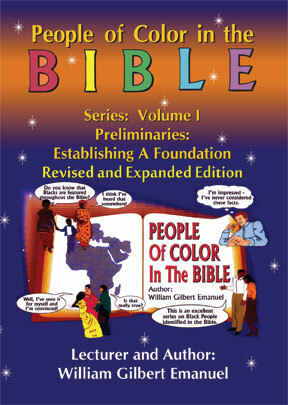 The three (3) book series is entitled: “People of Color in the Bible: Old Testament Collection." From 2002 - 2204, he served as an Associate Supervising Pastor of the International Seminary Extension in Frederick MD, where he taught seminary students. He was very instrumental in helping his students graduate with an Associate Degrees in the Ministry and/or Theology. POCTRI is responsible for coordinating outreach programs and creating educational material for all communities with a wholistic multi-cultural approach. The approach deals with the whole individual: mind, body and soul/spirit. This educational program aids youth and adults in acquiring a deeper understanding of health, life and themselves incorporating the physical, mental, and spiritual realms of reality. A number of colleges and private schools use these resources including accompanying videos that have been aired on some public access cable stations. .
Is Transition to Manhood Important? 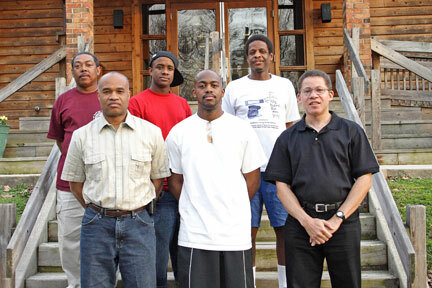 The Manhood Training Retreat was established in 2001 by a group of professional men and Dr. Emanuel to help give direction and purpose to the lives of young males before they graduate from high school and college. 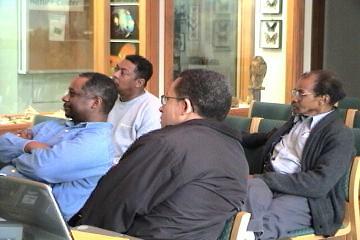 We have found that the African Tradition of Manhood Training is essential to males here in the Unites States as well. Males need this program to develop skills for interacting with other males as well as females and to hear diverse opinions and options from others who may or may not have similar life circumstances. This is especially important to males, who do not grow up with a Dad in their life to give them direction and purpose. 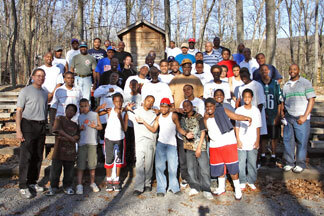 Males from Maryland, Virginia, Washington, DC and New York City have participated in the Manhood Training Retreats. Speakers from Hagerstown Community College (HCC), Howard University and Morgan State University (MSU) speak and encourage males to attend college and prepare for life as leaders in the community. They have an opportunity to network with other young men who currently attend college, ask questions about college life, and learn about scholarships, financial aid and other means of supporting the financial aspects of college . The experiences gained from this retreat will affect these young men for the remainder of their lives. Dr. Emanuel offers Mathematics Tutoring to students from middle school to through the university level, because the USA is in need of Engineers and Scientists. There has been a rapid decline of Engineers and Scientists over the years. During the time of the year 2000 (Y2K), the USA imported many Asians and East Indians to fill engineering and science key professional positions because we did not have enough graduates in the fields of Mathematics, Engineering and Computer Science who qualified for these critical jobs . In our country, young people must have a strong math background to fill the professional positions of Mathematics, Science, Engineering and Computer Science creating exciting and excellent career opportunities. 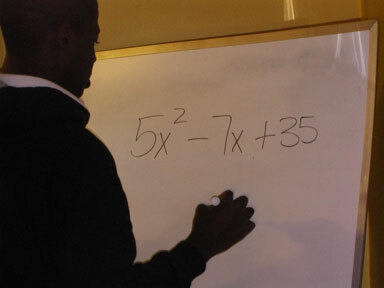 Dr. Emanuel uses the tutoring session to fill the gaps that are missing in the students’ education. POCTRI has successfully helped students improve their overall academic performance from failing grades to “A(s) and B(s),” depending on their level of motivation. In 1976, Dr. Emanuel became a vegetarian. A year later at HU, he was taught the 21 day Oxygen Cleansing Program which was sponsored by Artis E. Hinson, author of the book “From Dogma to Light.” Today POCTRI sponsors three (3) Ten Day Oxygen Therapy Cleansing Programs per year. Those who go through the program are blessed and learn about healthy life styles: The 9 Pathways to Health (Principles or Laws), proper eating habits, dieting and exercise, which help them better, manage problems with Acid Reflux, obesity and other physical ailments. Unlike the traditional medical system, Dr. Emanuel helps participants develop a wellness focus and thus launch them on a new and healthy lifestyle. During the Oxygen Therapy Cleansing Program, each participant is able to lose weight , develop the ability to think more clearly and develop a higher range of energy than before the Oxygen Therapy Cleansing Program. 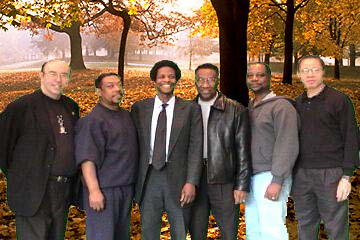 Visit our web site (www.peopleofcolor1.com) to hear testimonies from some of the people who completed the Ten (10) Day Oxygen Therapy Cleansing Program. Dr. Emanuel teaches them the importance of Knowledge, Nutrition, Exercise, Water, Sunlight, Temperance, Air, Rest, Trust in Divine Power (KNEW START) and how these 9 laws can improve the quality of life for a person who is sick and over weight. 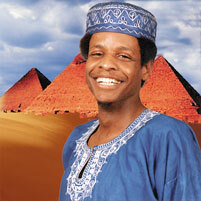 Dr. Emanuel is sought after to speak at Black History Month Programs; throughout the community. 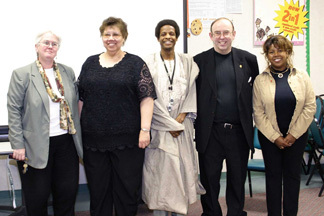 The POCTRI sponsors Black History Month Programs with local colleges, universities and community organizations. Our Programs are coordinated with other professionals that advise and encourage junior high, high school and college age young people about courses and higher educational programs available to them while they are still in high school and college that prepare them for life. 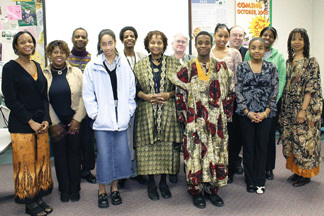 In 2005 as an adjunct professor at Hagerstown Community College (HCC), Dr. Emanuel coordinated with the HCC Diversity Committee to develop a Black History Month Program. The committee in conjunction with the college worked with the Young Men’s Christian Association (YMCA) Black Achievers to promote higher education in their community. Many departments throughout the community college worked with the YMCA Black Achievers to address junior high, high school and college age young people from the community about what HCC and other colleges have to offer them and their families. Keynote Speaker, Bishop Lovell Wilson spoke on ‘Keeping the Family together.” The program was comprehensive including a keynote speaker, workshops and dinner. The tobacco and alcohol industry has historically targeted the African-American community, youth and adults, to use their products. 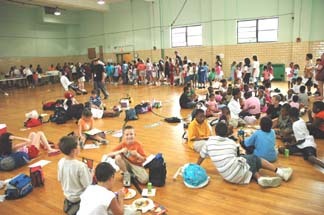 Dr. Emanuel teaches at the Non-Smoking Youth Summer Camp sponsored by Brothers United Who Dare to Care and has touched the lives of over 200 primary and middle school age young people, from 2004 - 2007. He used visual displays and posters to illustrate the effects of first-hand and second-hand smoke on the: 1) lungs, 2) throat, 3) hands, 4) teeth and 5) brain. He has a quiz before and after the presentation to measure the learning acquired by the participants over the course of the camp session. POCTRI has engineered materials to be used in concert with the educational curriculum in schools and churches from primary grade levels to the university. These materials are unique in content and give a perspective to the study of the Bible from a multi-cultural viewpoint; POCTRI's perspective of analyzing and understanding the Bible is a more accurate and truthful way of studying the Bible which gives all of us a resource to use throughout the world. Our materials are based on geography and historical people vs. the non-historical and in accurate teachings created by the traditional euro-centric viewpoint presented in our educational institutions and churches. Volume II of the adult series entitled: “Repairing the Breach of the Past: Restoring and Raising up the Foundations of Many Generations,” is currently in publication. 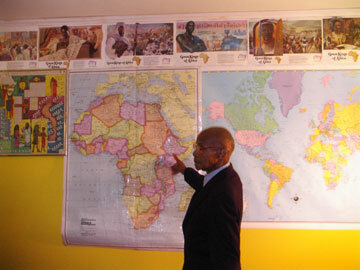 We need the help of all who visit our website and attend our programs to help publicize our work and efforts. 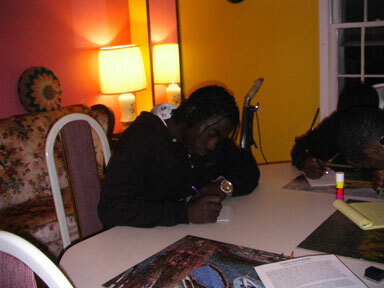 POCTRI is completely a self- supported ministry, by the programs, books and educational materials we have developed. These outlets are our only source of revenue which we pour back into PROCTRI to further our work. We operate without a paid staff and have not sought funding from other sources. Should you wish to be part of our efforts and desire to help fund and/or support the work, please visit our web site. Your assistance is greatly appreciated to help this movement move forward, first in our communities and then throughout many parts of the earth. People of Color in the Bible. This is Episode 1 of a seven (7) part series of episodes that have been developed over the years. Additional funding is needed to complete the production of this project. Visit our web site to view some of the Power Point presentations that are part of this series of episodes. To view follow these steps: 1) our home page is www.peopleofcolor1.com then, 2) click on workshops, 3) scroll down and click on Last Days Events In Light of Current Events and 4) scroll to the bottom to view workshop topics on Last Days Events in a Power Point presentation format. and then click on charts. and its effects on Our Culture and Society"
"Healthful Living in Today's Society"
"Motivational Talk for College Students"
" How to manage Math Anxiety"
" Introducing People Of Color In The Bible"
"The Mis-Education in the African-American Community"
"A Motivational Talk for Black Males "
" A Lecture on Health, Science & The Bible"
" The Last Days Events In Light of Current Events "
"Motivational Talk for The Youth"
Health, History, Religion and more"